Crisp, minty 1957 navy polished cotton dress for Jill #7405. 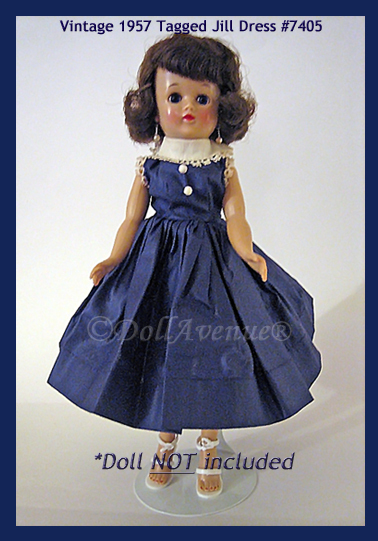 Lovely tagged dress with white collar, lace trim and white buttons for your Jill or similar sized doll. Dress only - doll and shoes not included.